The Kid's Pack-It Jacket comes complete with its own stuff sack so it can easily fit into your bag. 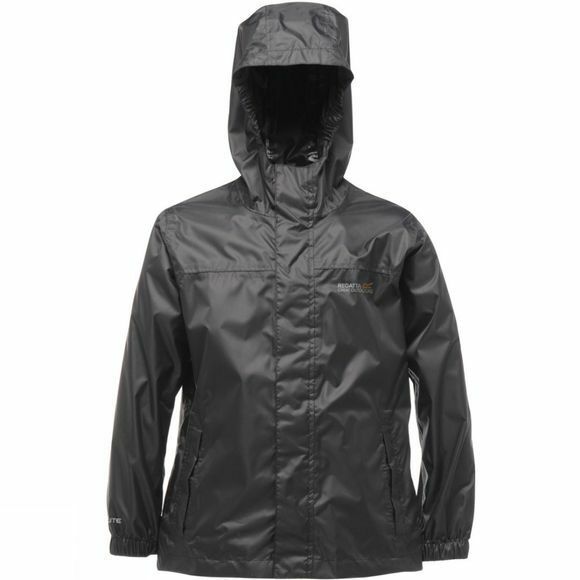 Regatta have used Isolate 5,000 nylon fabric to ensure it's both waterproof and breathable, while the thoughtful storm flap with snap fastening will make sure the rain stays out. It has a fold away hood with a raised neck line and elastic cuffs, great for keeping any drafts from reaching your little one. Two hand pockets have been included with hook and loop fastening, so there's plenty of room to stash those valuables.